It was the hallmark signing of yet another short Sounders offseason; one in which the team’s fans had grown antsy over the lack of significant player signings. Norwegian midfielder Magnus Wolff Eikrem was supposed to change some of that, coming over in late January from the powerhouse Molde squad in Sweden to bolster a Sounders team outclassed by Toronto FC in the MLS Cup final. 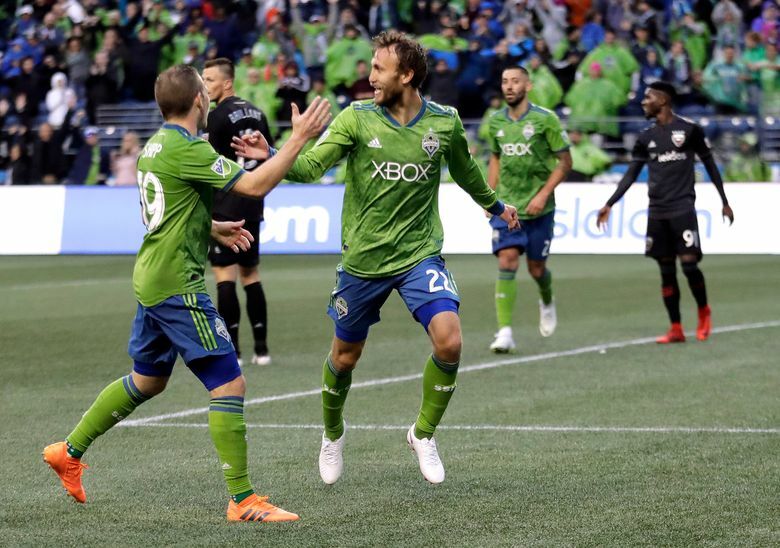 Instead, the struggling Sounders waived Wolff Eikrem on Friday after he’d started only a half-dozen matches, notching a lone goal and one assist for the lowest-scoring attack in Major League Soccer. But guaranteeing Wolff Eikrem, 27, just under $547,000 in targeted allocation money (TAM) on a team that began the season with a payroll of $11.37 million won’t go down as one of general manager Garth Lagerwey’s better moves. That it was one of his only offseason moves – other than adding fullback depth in Waylon Francis – explains plenty of the criticism Lagerwey has taken for the team’s 4-9-5 start. He’ll continue taking heat unless the Sounders start reeling off victories, beginning with Saturday’s home match against the Vancouver Whitecaps at CenturyLink Field. The Sounders will have Peruvian forward Raul Ruidiaz finally making his debut while they continue to seek another attacking player to fill the international roster spot vacated by Wolff Eikrem. A losing home record is one of the reasons the Sounders enter Saturday’s match 11 points out of a playoff spot and nine behind the Whitecaps. Despite some strong play securing recent roads draws against Atlanta and New England, the Sounders will need as many three-point victories as possible in their final 16 matches to have a shot at a tenth straight postseason. The nonperformance by Eikrem didn’t help. Even when fully healthy, on a team throttled by injuries early on, Schmetzer had been loath to put him on the field. Schmetzer was at his diplomatic best when asked why Wolff Eikrem wasn’t the “fit” initially envisioned. Schmetzer didn’t say it, but he also prefers strong two-way players. And some of Wolff Eikrem’s defensive shortcomings were apparently enough that the coach was reluctant to start him against strong offensive or counterattacking sides. Wolff Eikrem was a healthy scratch again last Sunday against a powerhouse Atlanta squad that pressured the Sounders throughout the match. It became obvious a few games into the season, when Schmetzer started rookie first-round pick Alex Roldan ahead of Wolff Eikrem, that Schmetzer wasn’t comfortable with the veteran. Schmetzer and Henderson lauded Wolff Eikrem’s professionalism in how he handled the situation. But Henderson said Wolff Eikrem had discussed his playing time with both the coaching staff and front office ahead of the decision to waive him. Doing so now makes it easier for Wolff Eikrem to hook up with a team overseas during the summer transfer window. The recent strong play by midfielder Harry Shipp, injury returns of Victor Rodriguez and Nicolas Lodeiro and the expected addition of at least one more TAM player this summer meant keeping Wolff Eikrem as a depth piece wasn’t worth the international roster slot. Now, minus one veteran and with newcomer Ruidiaz about to take center stage, the Sounders have to do something they’ve yet to manage with any consistency: win some games.